Heat oil in a large saute pan. Sprinkle shrimp with salt and pepper and add to hot oil. Turn after 1 minute and add desired amount of Cannizzaro Arrabbiata Sauce and fresh parsley. 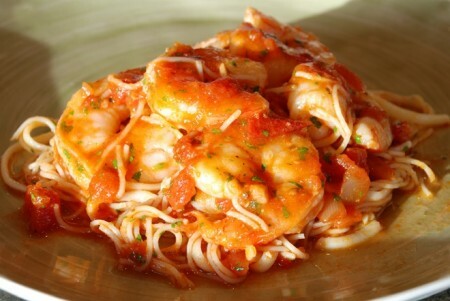 When sauce is hot, serve over pasta and enjoy!